This blog documents my research using 3D modeling and digital fabrication techniques for design. 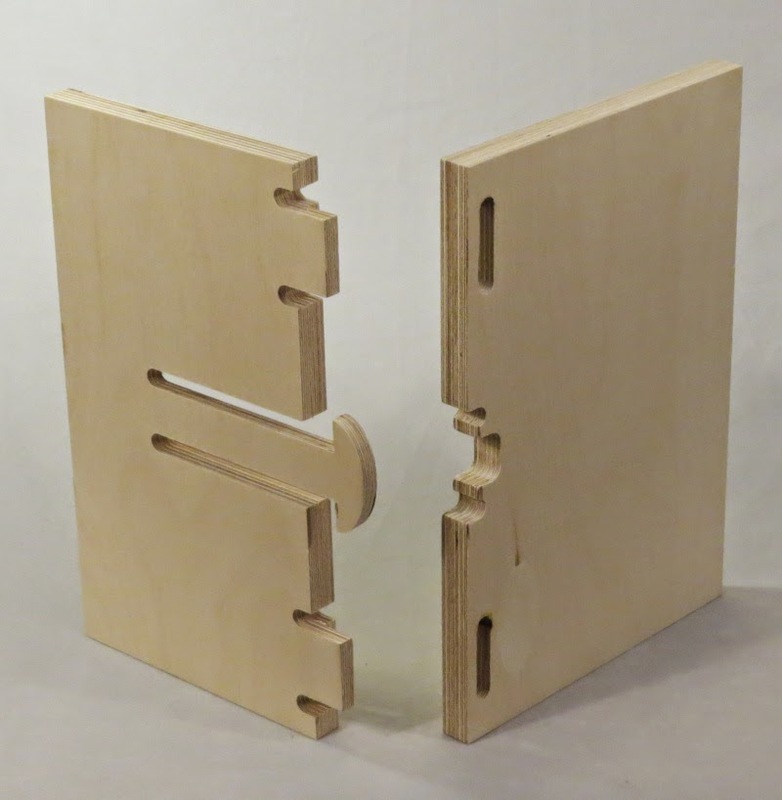 This topic discusses the design and cutting of wood joinery using CNC routers. 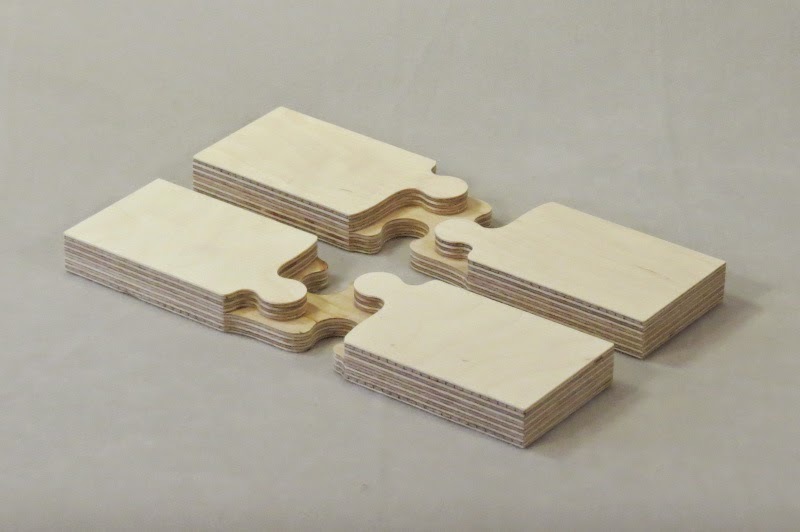 In learning about CNC cut joinery it is well worth looking at the types of wood joints that have been cut with traditional tools (saws, chisels, tablesaws, bandsaws, etc.) for many years. This will help develop an understanding of the use conditions of the joints, and to visualize some solutions that have been created to deal with them. 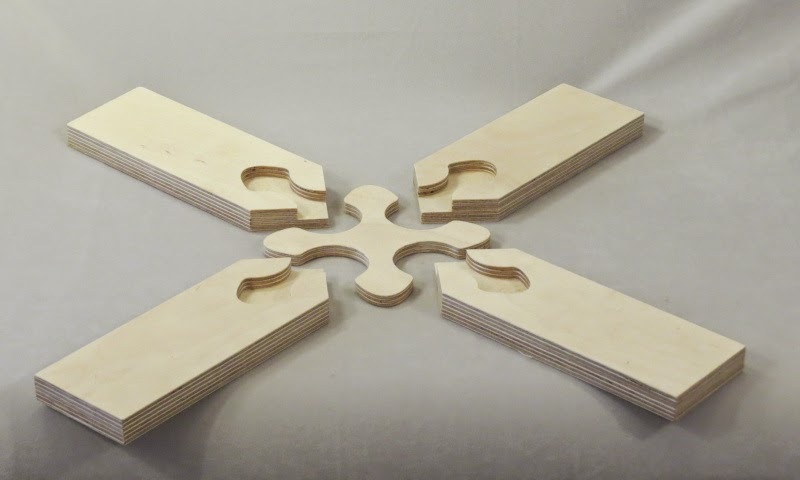 Later we'll see that the constraints of using CNC routers make clear that joints which are specifically designed or adapted to the process are the most suitable. 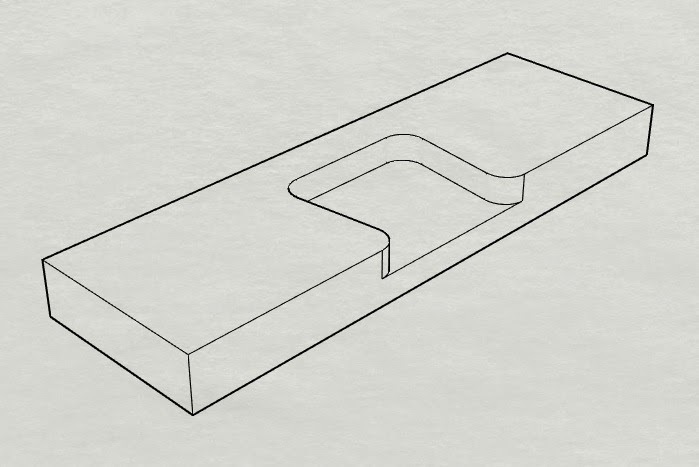 Pocket: A recess cut into a piece, usually to accommodate a mating part from the other member in the joint. 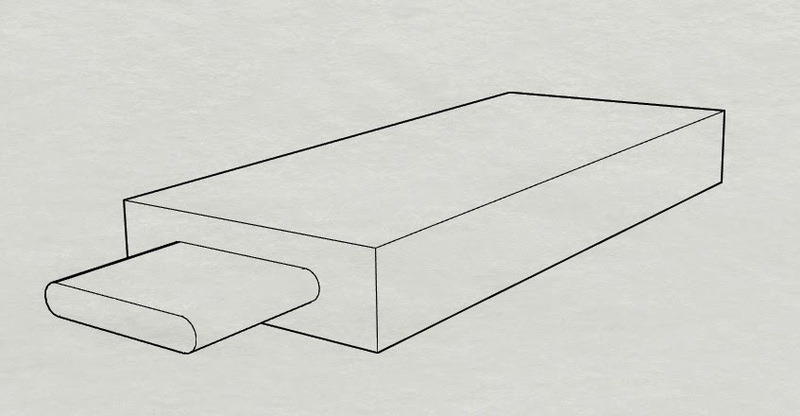 Groove: A slot (U shaped flat bottom cut) or channel made with the grain. Rabbet: A slot cut parallel to, and along the edge of, a board. 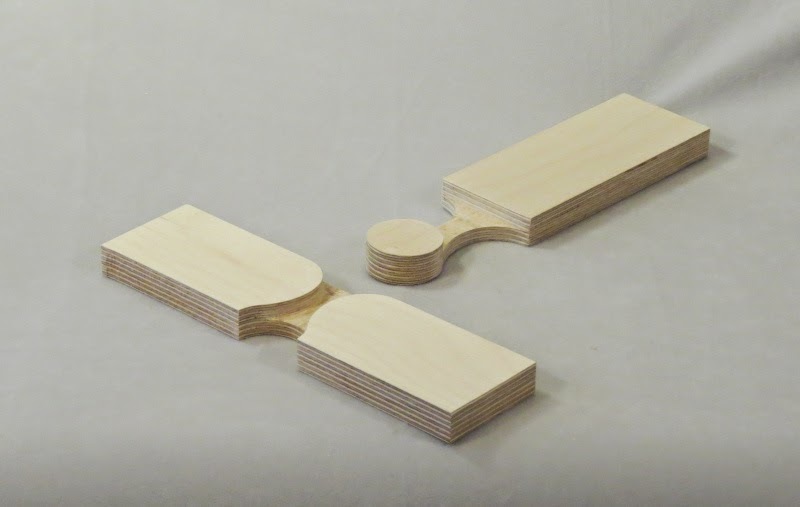 Half-Lap or Lapped: A dado or groove is cut into each workpiece to half their thickness to allow the parts to overlap one another. 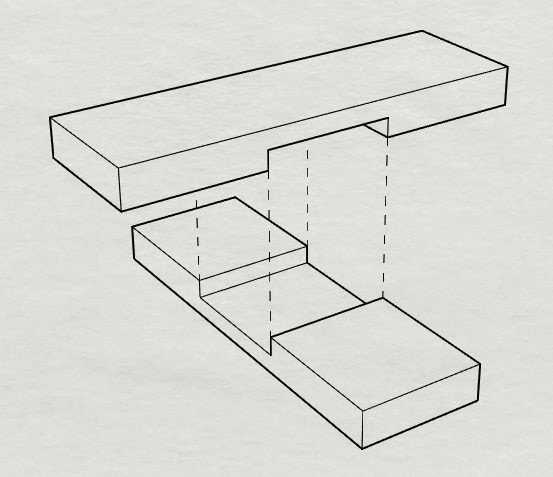 Tenon: A projection on the end of a piece for insertion into a mortise. Mortise: A cavity or hole in a workpiece, meant to receive a tenon. 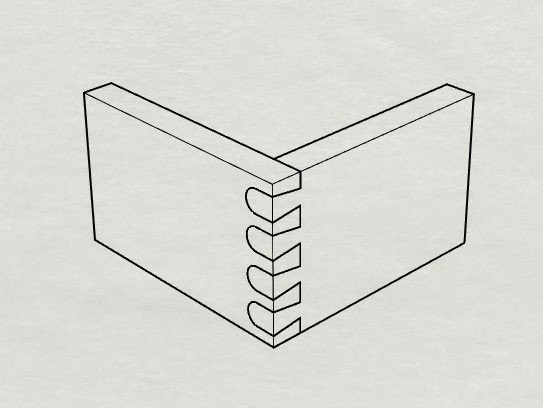 Dovetail: A joinery technique noted for its resistance to being pulled apart. This is an interlocking joint where an angled male part fits into a similarly shaped female pocket. 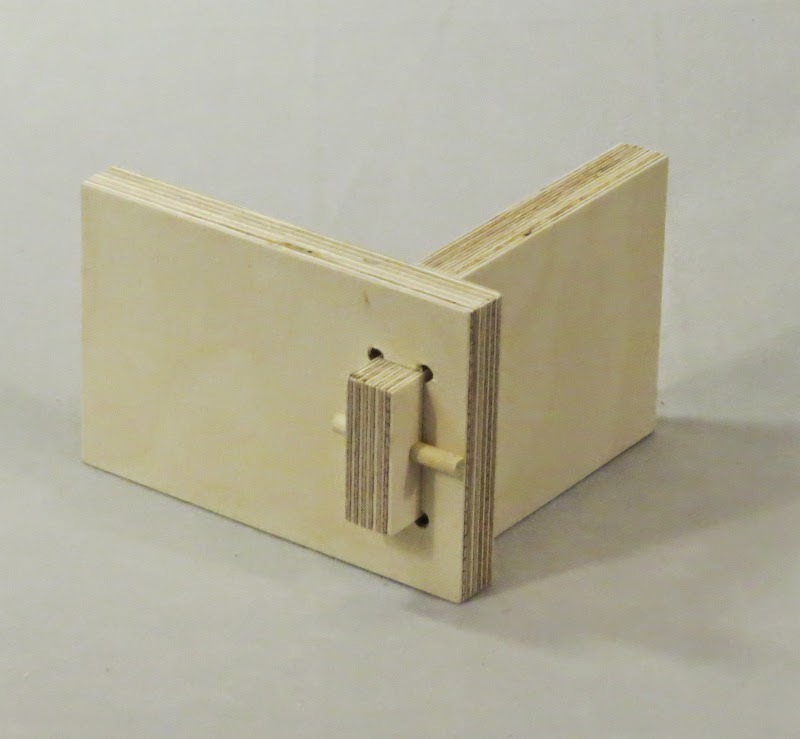 Blind Joint: Refers to joinery with mating surfaces not protruding through the visible faces of the pieces being joined. 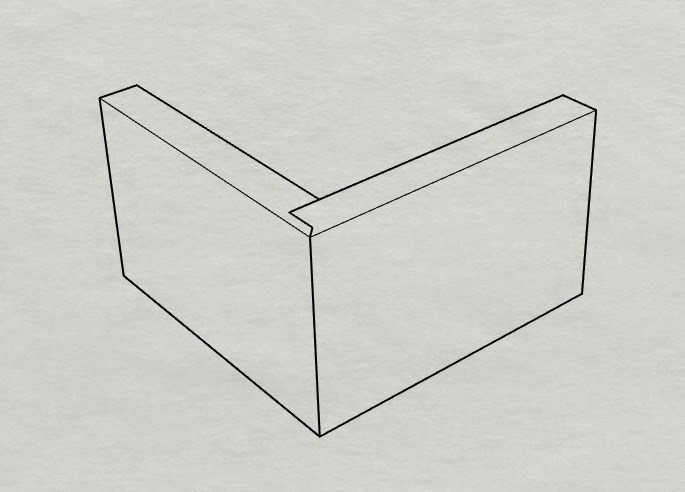 Half-Blind Joint: A joint where one part protrudes through the other piece. This results in the end of one piece visible on one surface of the other piece. Through Joint: A joint where the other members are visible on both sides. 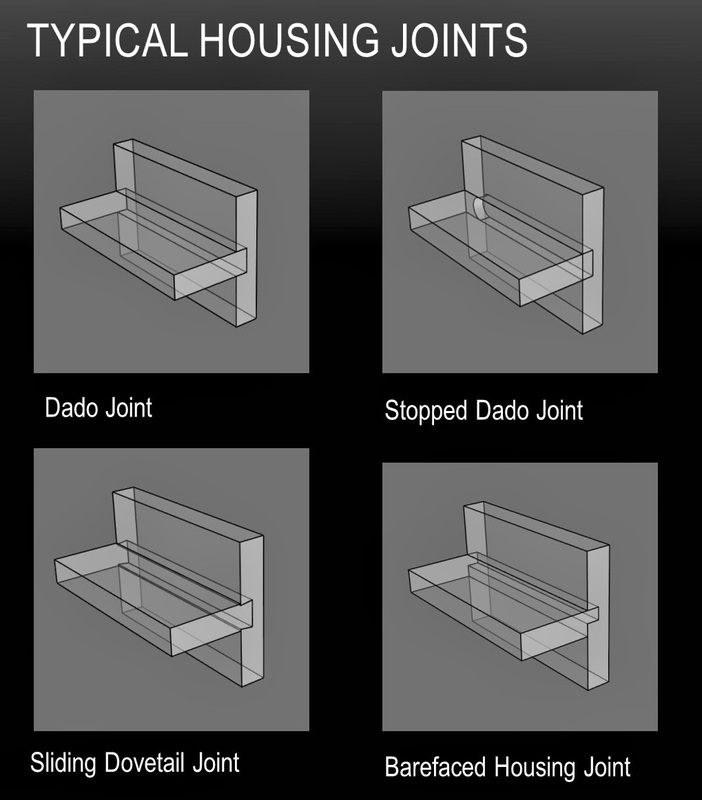 Wood joints can be categorized in many different ways. 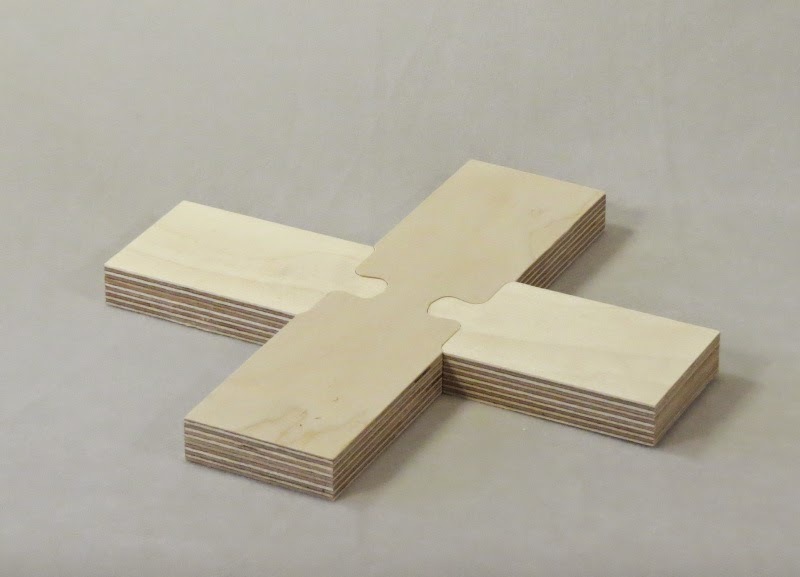 A common method is to break them into the groups based on their function: Below I use the following four groups: Edge-to-Edge, Housing, Corner and Frame Joints. 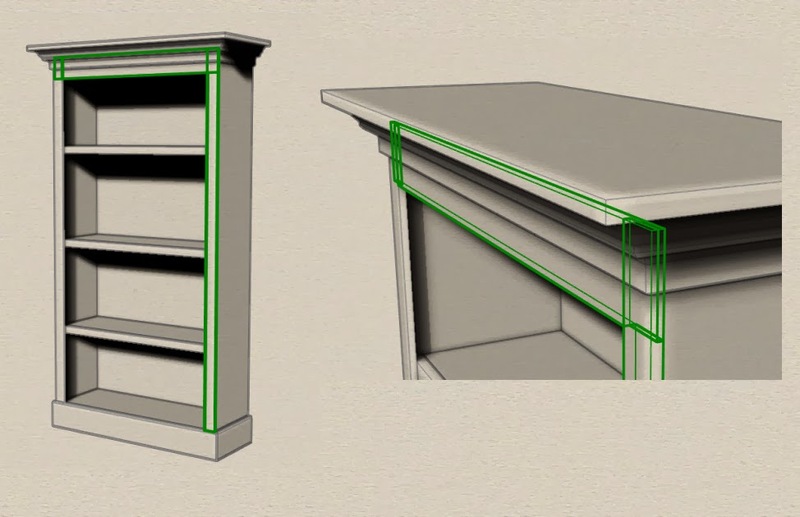 To understand the application of each of these joints let's examine a simple bookcase and see how each joint type is used in its construction. This bookcase has two long sides. A fixed top and bottom. A face frame to give the side edges some extra width. It also has three movable shelves. The shelves have a wider board along the front edge to give them a feeling of extra solidity. 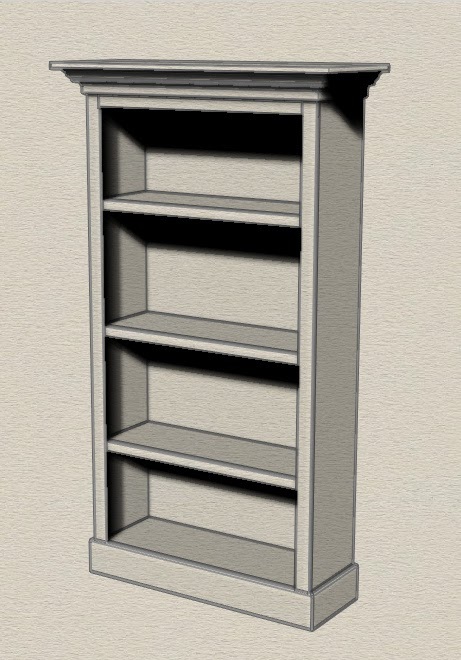 The bookcase has trim boards around the top and bottom. 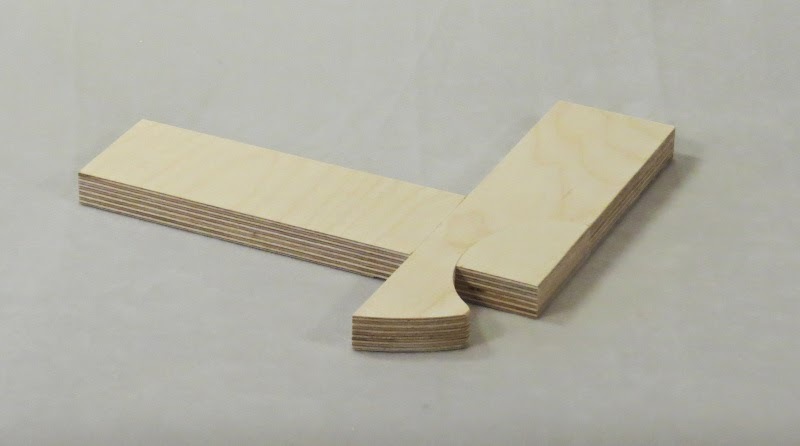 Edge joints are also used to attach boards together to make up wider panels. For instance if you could not get a board 12" wide for the side of the bookcase you could glue two 6" boards together, edge to edge. 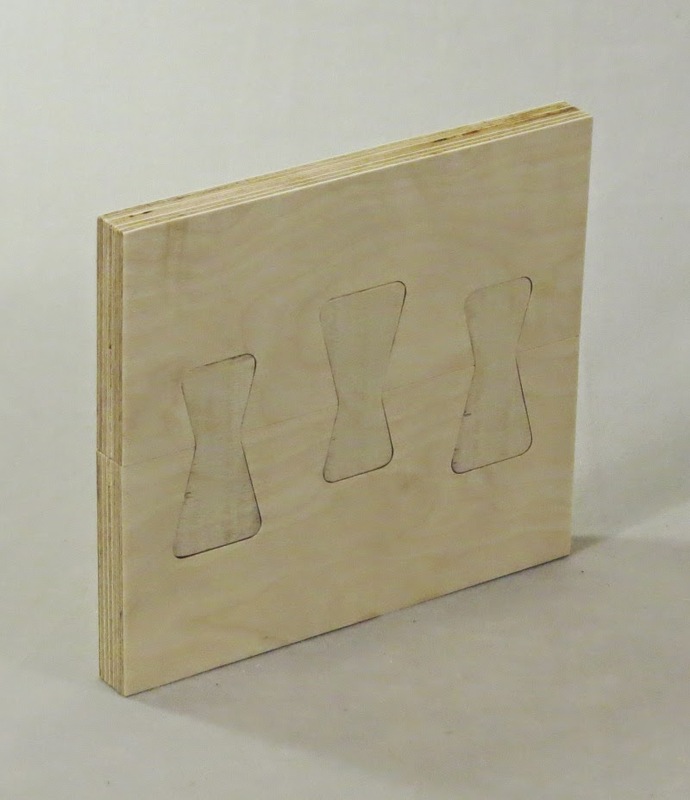 Gluing wide panels from narrower boards helps with the stability of the panel in resisting cupping and warping. 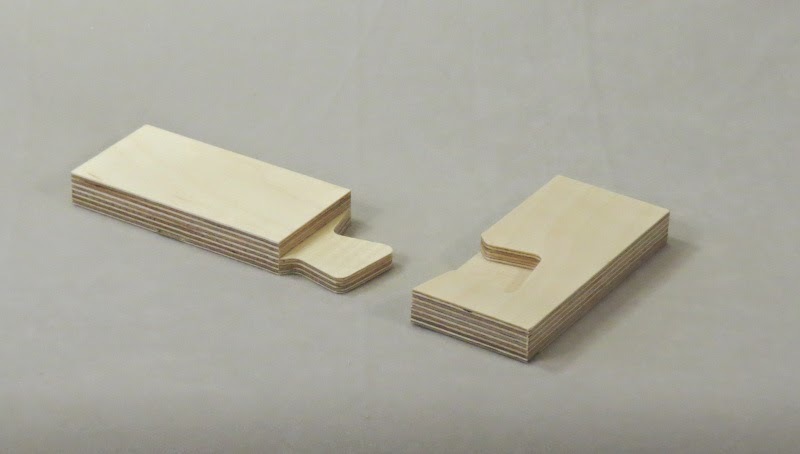 Housing joints are often used in case construction. As an example from the bookcase the lowest shelf is dado-ed into the side panel providing a strong bottom and racking resistance to the case. 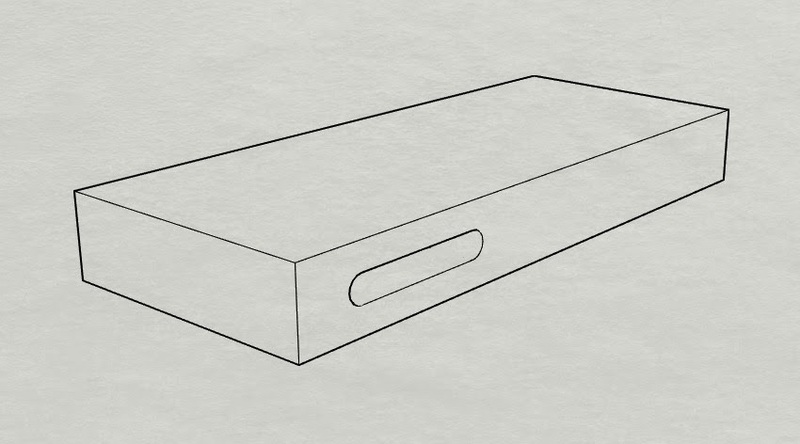 That is, it is set into a flat bottomed slot cut into the side panel. 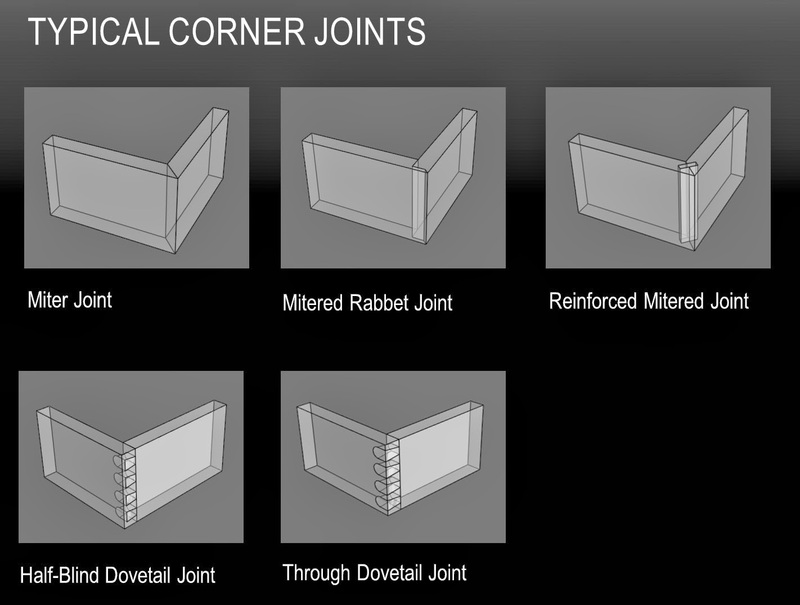 Corner joints, as the name implies, are used in joining pieces at a corner. 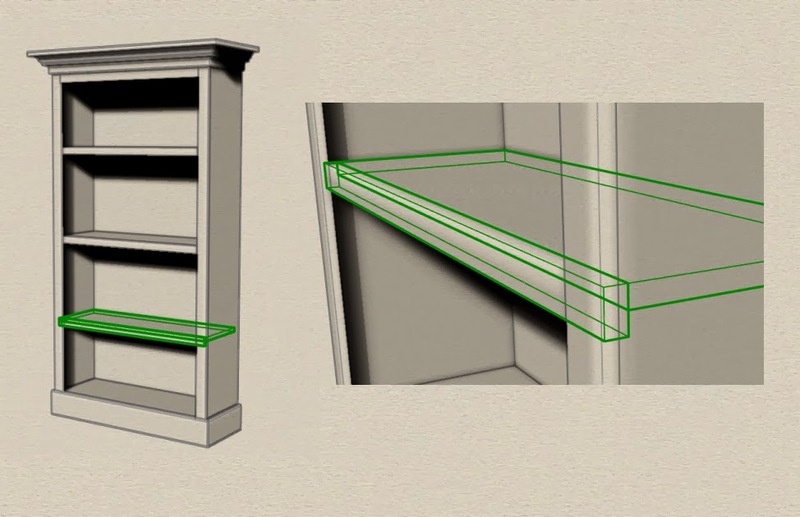 Here's the example from the bookcase - the trim board on the base has mitered corners. So does the molding at the top. 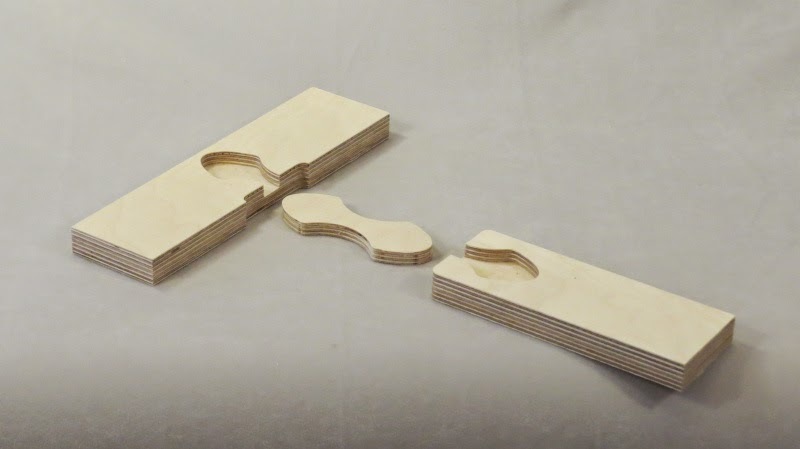 There are some issues associated with CNC cut joints which need to be understood. Tools: Router bits are used rather than saw blades. Tear out on the edge of pieces is more problematic with router bits. This needs to be carefully setup so the tool approaches the work properly. Router bits also exert more force on the workpiece while cutting necessitating stronger fixturing. 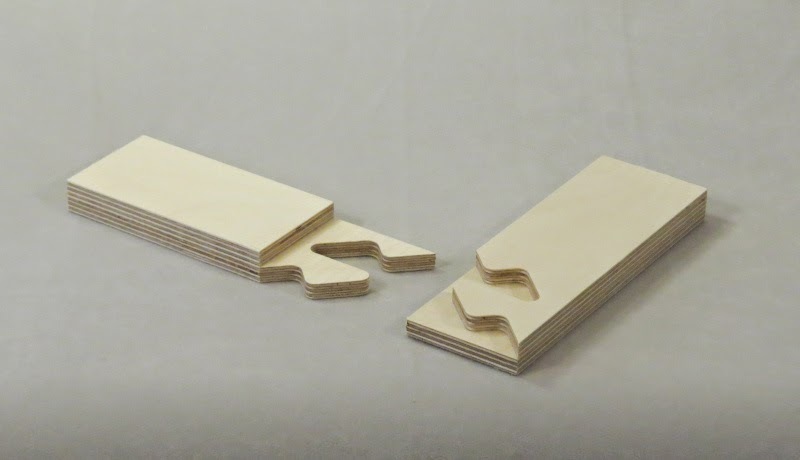 When routing plywood contour cuts are usually machined with a compression bit. This bit pushed down from the top and lifts up from the bottom to reduce tearout in sheet goods. Pockets are usually cut with down shear bits to reduce tearout. 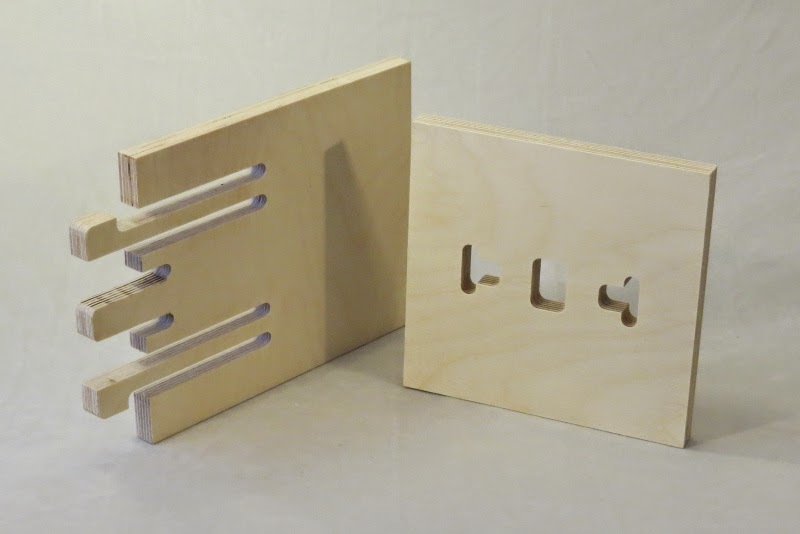 See CNC Router Tools and Tool Holders for more details. 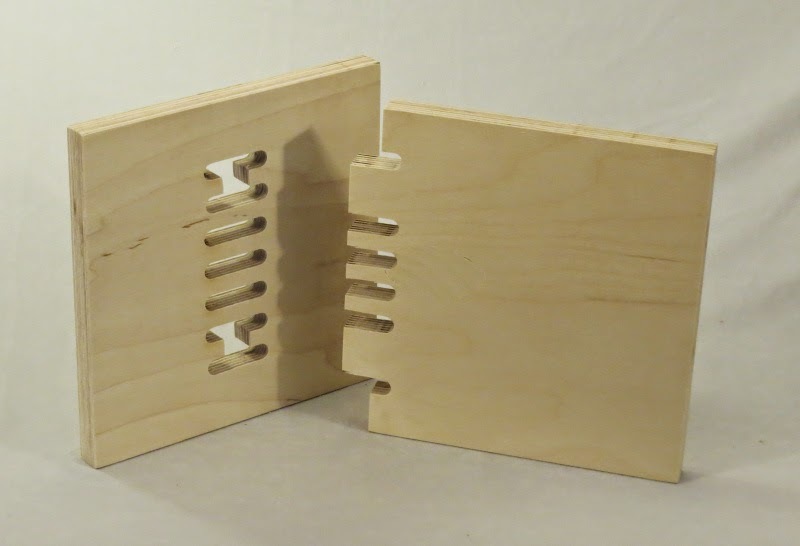 Corners: Square corners can’t be cut with cylindrical router bits. 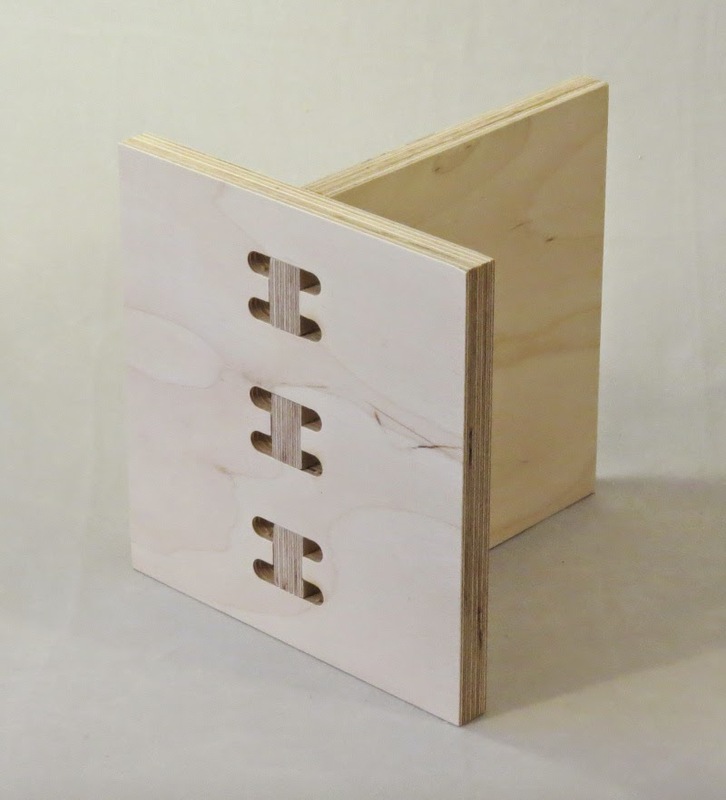 For many cases this means joints need to be designed with rounded corners. 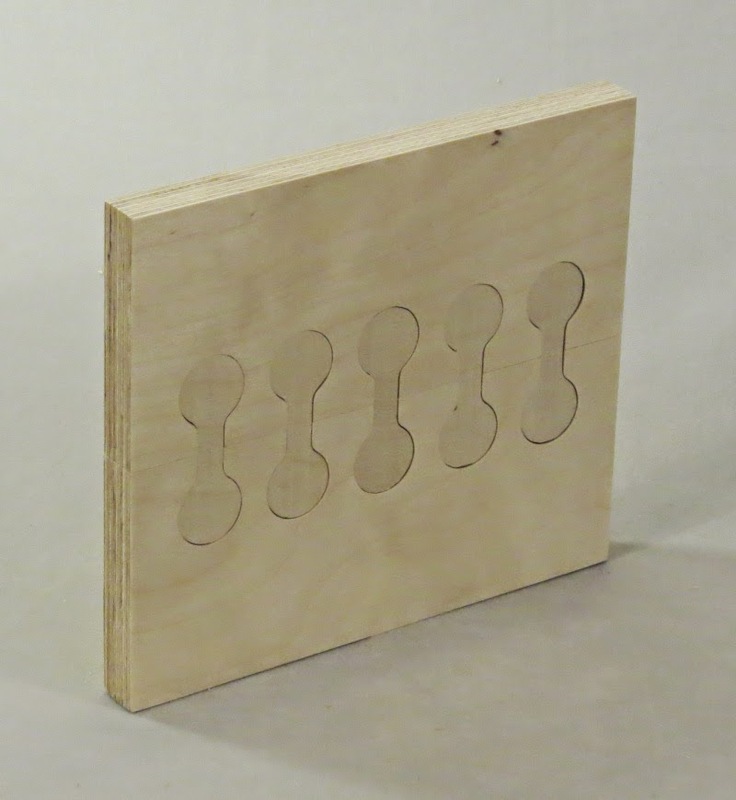 The rounded corners can be drilled out or routed. A key with routing these corners is that the tool must keep moving while making the cut. Otherwise excessive heat develops. This leads to greatly increased tool wear and the potential for fires. 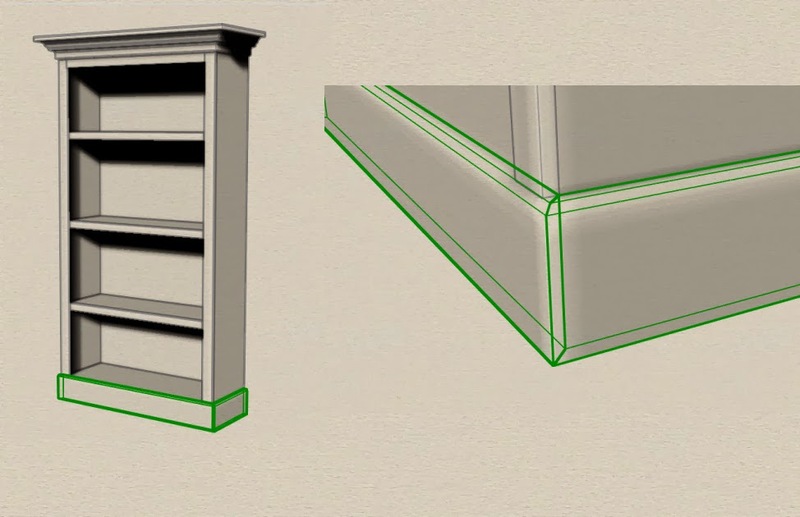 See CNC Corner Fix Utility for a program to help in quickly drawing these rounded corners in Rhino. 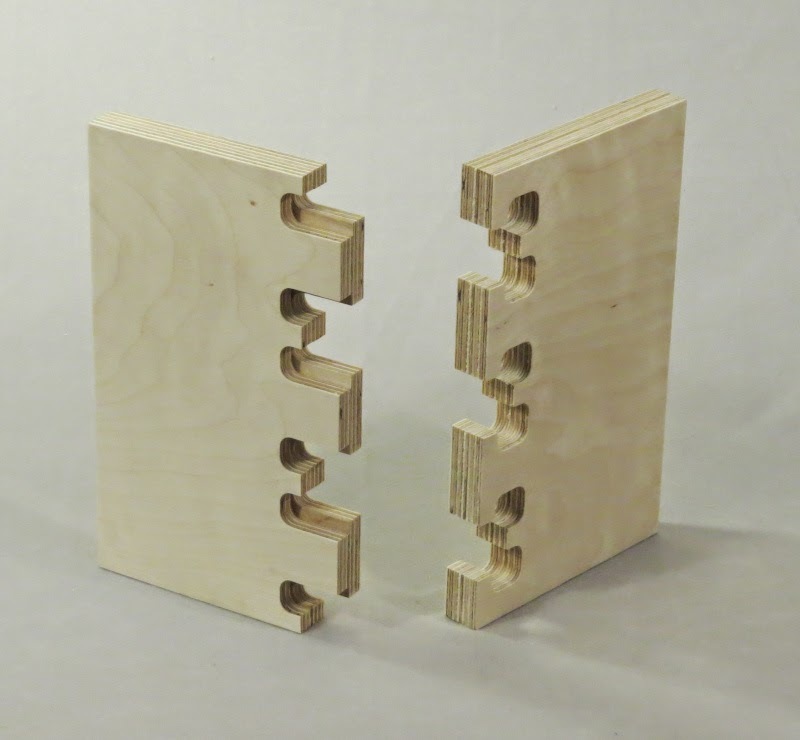 Tolerances: If two mating parts are cut to the same dimension they obviously won't fit together. A gap needs to exist between the parts for them to slide by one another and provide a small space for glue. 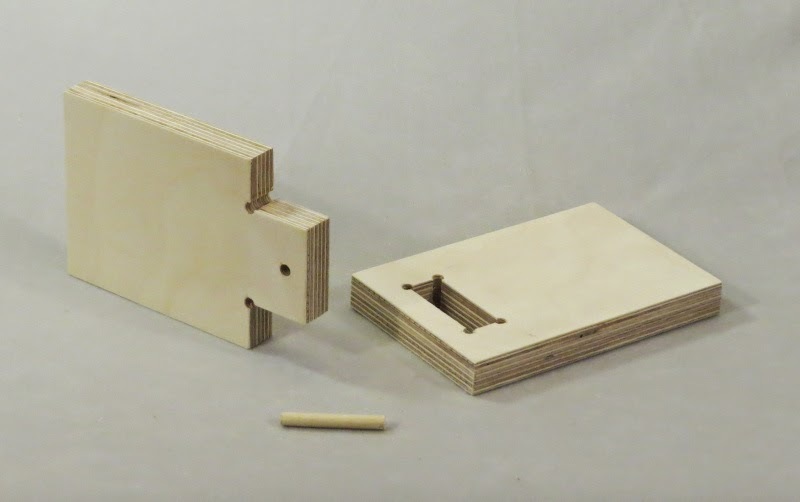 In CNC work it's common to use a gap of 0.005" per side of the joint. So for example a tenon should be cut 2 times 0.005" narrower than the mortise (0.005" on each side). This is a fairly tight fit but will work if the machine is very accurate and the tools are sharp. If the tools are dull, the cut is not as clean and the accuracy can't be maintained. Therefore it is sometimes necessary to use 0.01" per side. 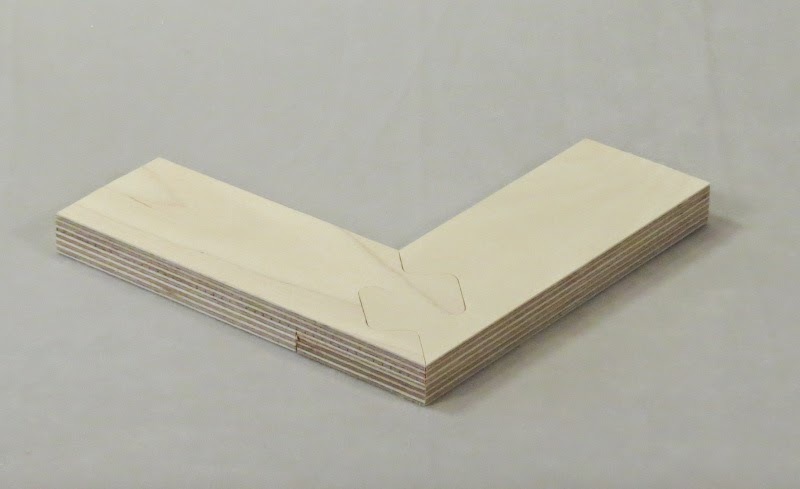 Most of the joints shown below were cut with 0.01" per side. This was done to allow the pieces to slide apart easily for demonstration purposes. 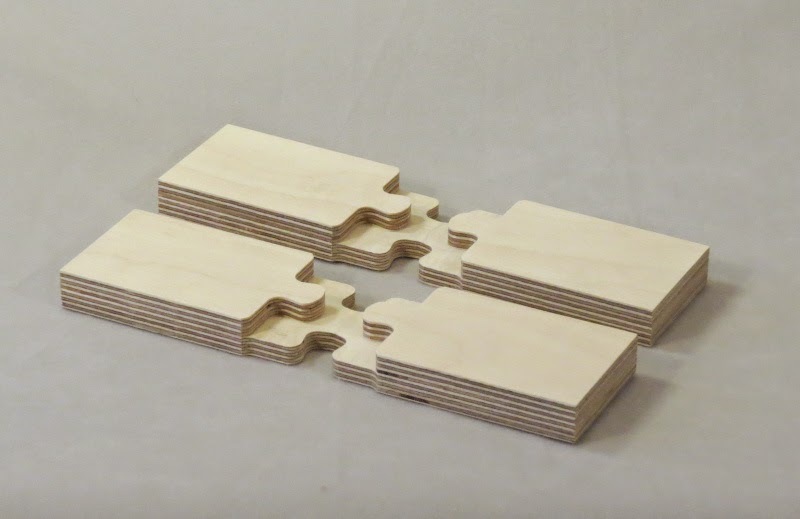 Stock: Material thickness variations have a big impact on CNC cut joints. The toolpath programming will be done for a certain thickness. If the stock is not that thickness exactly it will affect the fit of the joint. For this reason using "Stock to leave" and "Floor to leave" parameters in the CAM software can provide offsets to compensate for the variation. Fixturing: Rather than moving the work piece over the tool, the work must be held securely while the tool moves. The process of securing the work is called fixturing. In the case of 3-axis routing of plywood this usually just means tabbing the parts. In hardwood this often involves double-sided tape holding the parts to a spoilboard. 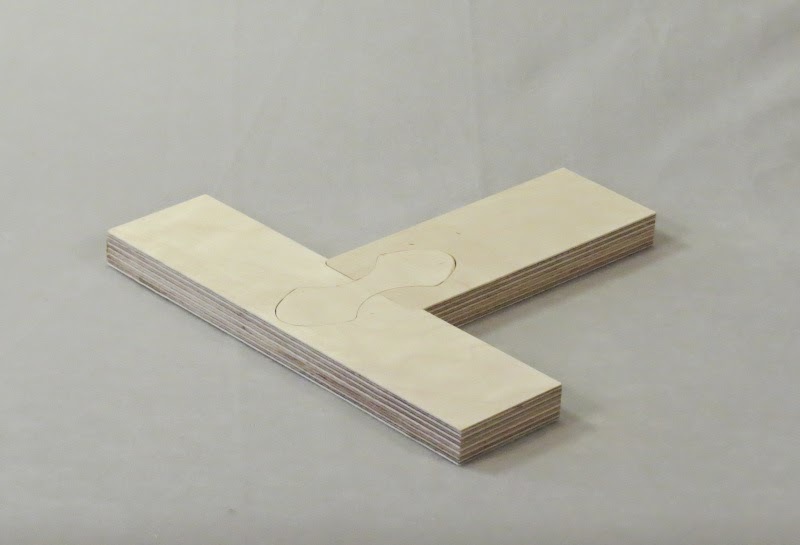 There are many interesting joints which can be easily cut on the CNC which would be very time consuming if done with traditional shop tools. Some examples are shown below. 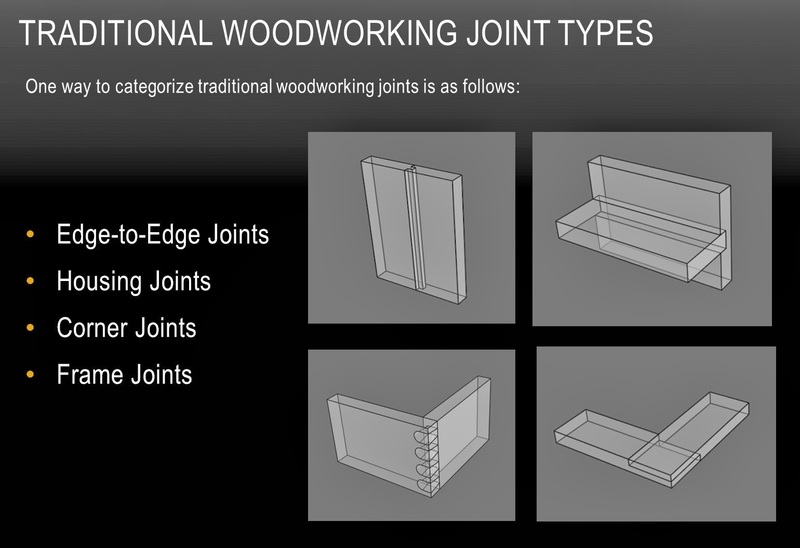 Many of these are from the years of research done by Jochen Gros and Friedrich Sulzer: Digital Wood Joints. 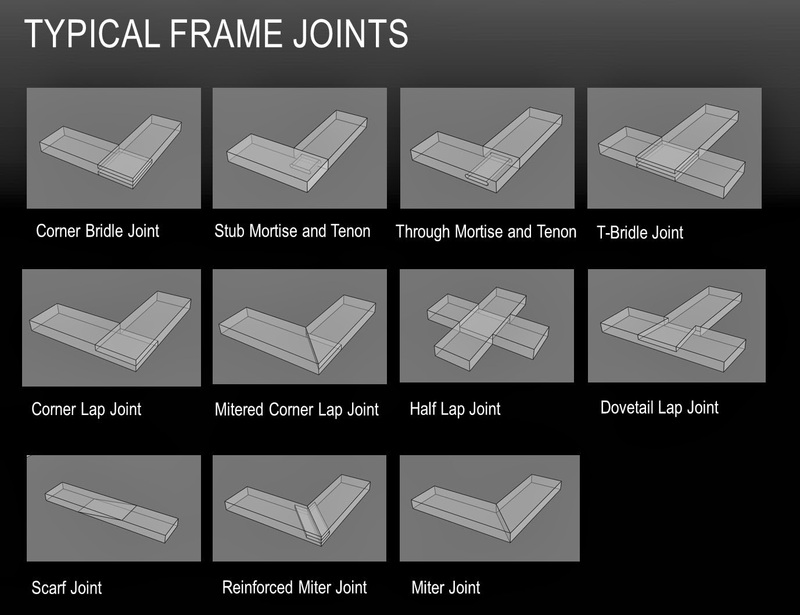 Many of their joints are CNC-modified variations on the traditional joints shown above. 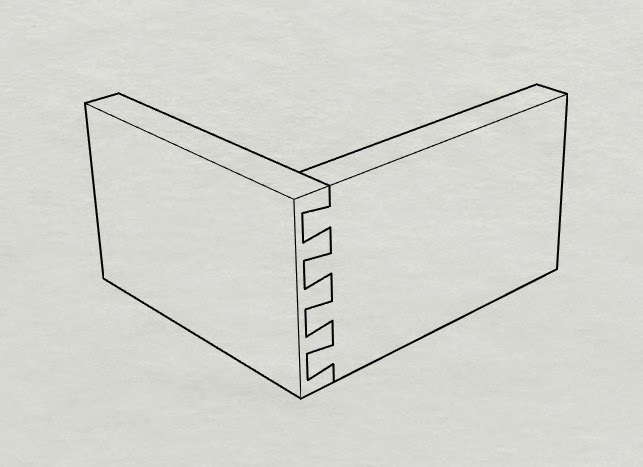 Some of the more complex example have precedents in Japanese joinery. They are all modified in some fashion to make them appropriate for CNC cutting. 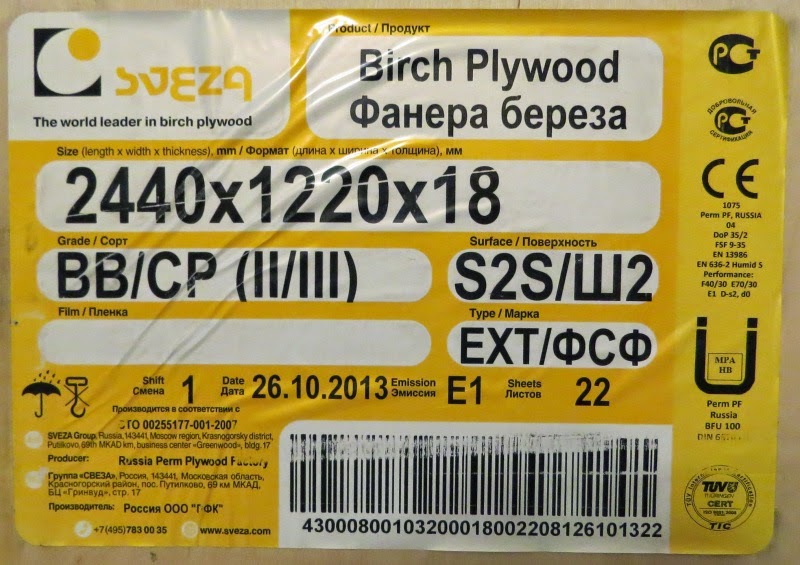 This plywood is specified as 2400mmx1220mmx18mm. In imperial units this is 96.06" x 48.03" x 0.71". The most important of those values for cutting joints is the thickness. In actuality, the material thickness varies from as thin as 0.68" up to 0.72". I modeled and/or toolpath programmed the joints assuming 0.72". When you see a deviation in thickness in some of the joints it is usually this material thickness difference which is the cause. 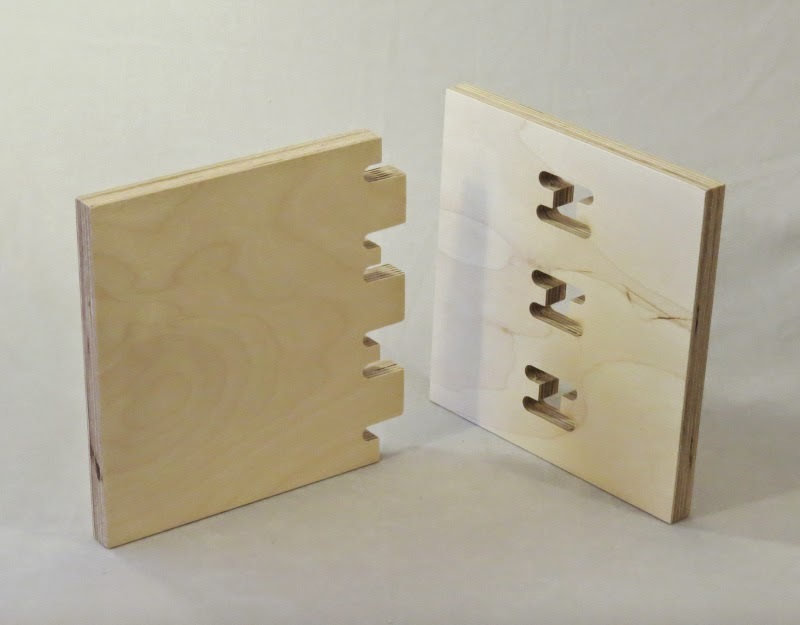 These joints attach members along an edge to form a corner, in 3-axis joinery, usually a right-angle. 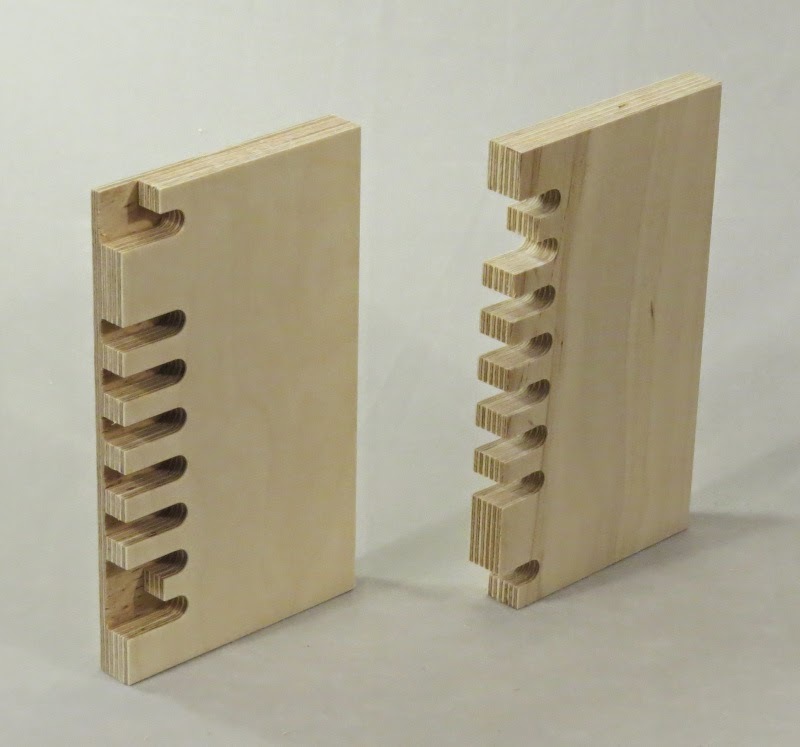 These joints are the simplest of the CNC compatible tenons. The joint is fully exposed at the corner. There is a lot of surface area for glue. 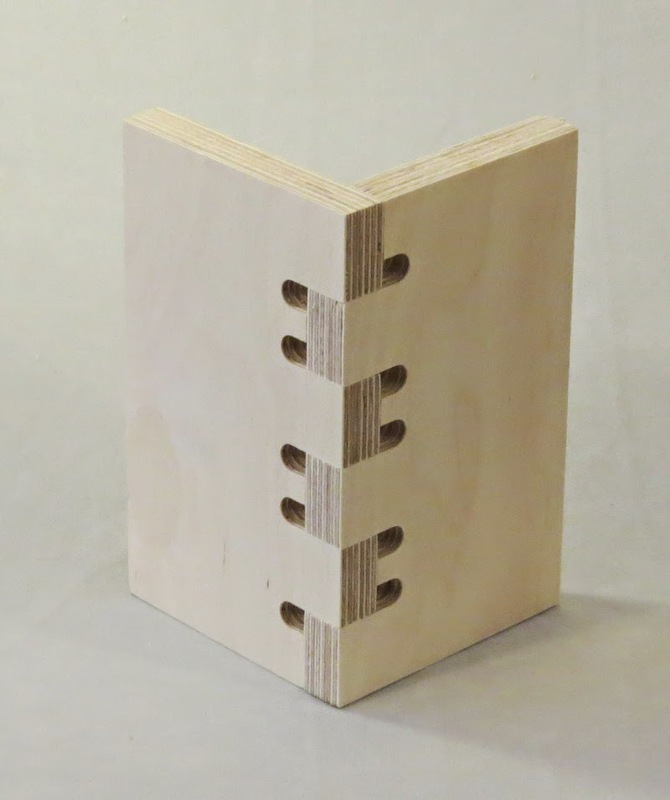 This example uses pockets along the edge of the joint to keep the tenons from showing through. This is referred to as a blind joint. The edges are visible from the outside making a nice detail to relieve the sharp edge. This joint is half-blind. That is, the details of the joint are only visible from one side. This is done by cutting pockets for all the fingers to nest into on one side only. Through corner joint. The two parts are identical. They provide a lot of glue surface area making for a very strong connection. Here the narrower tenons are referred to as "fingertip" rather than "finger". 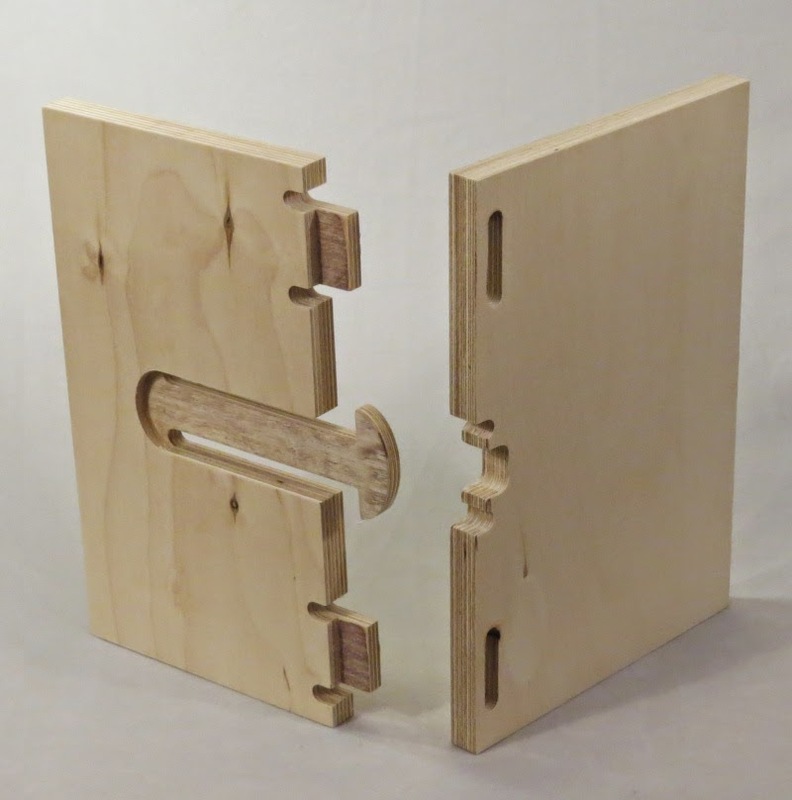 This joint is designed to mechanically keep the joint from pulling apart along one axis. You can see how the fingers lock over the grooves in the mating fingers edge. The name comes from the hammer head shape on the right. There are some joints which are designed to break down or come apart easily. 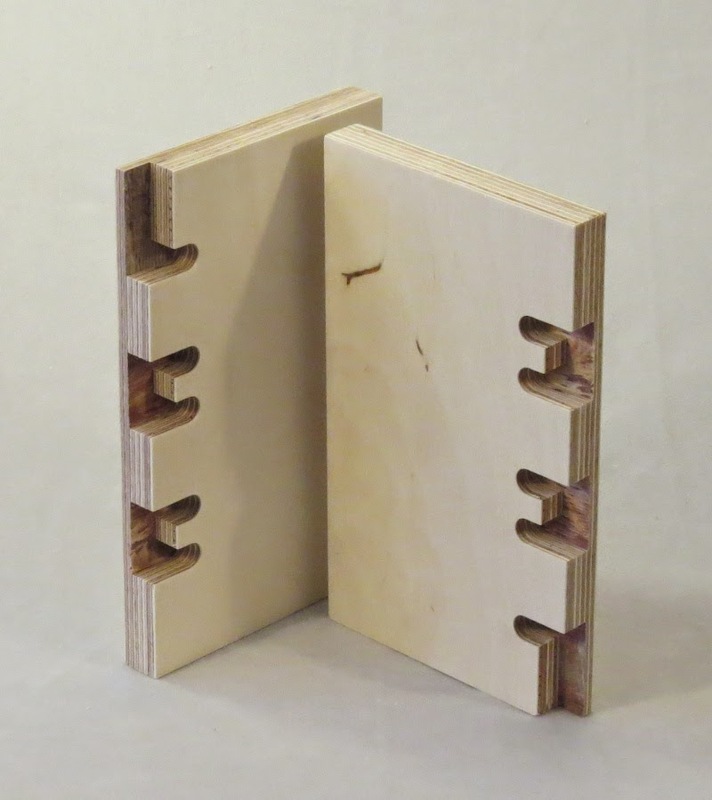 The lengthened tenons of this joint have a notch which accepts a key which secures the joint against tension. Here the key is partially removed showing the grooved in each piece. This is another break-down joint. The parts are slid together and the catch is pushed through the matching latch. When through far enough the tenon flips down and hooks to secure the joint from coming apart by tension. The catch is pocked to half thickness to make it much easier to bend over the latch. 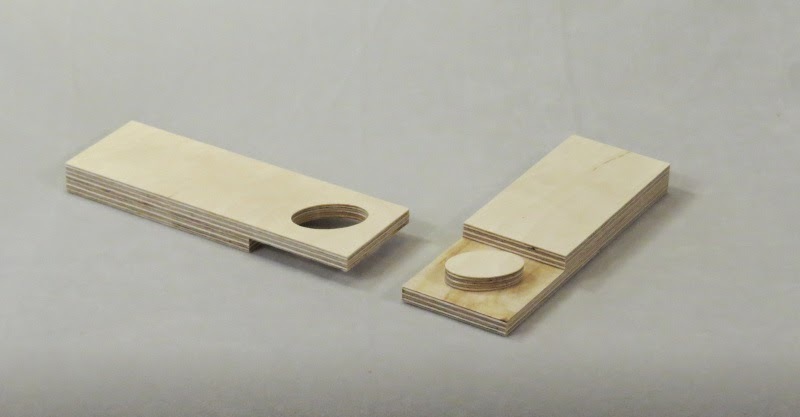 This example uses a dowel to prevent one part from sliding back through the other. When the dowel is tight against the face of the mating piece the joint is pretty solid. Note also that the joint above uses a drill bit to clear the corner material. Earlier joints used the router bit only. This decision has a big impact on the appearance of the joint. 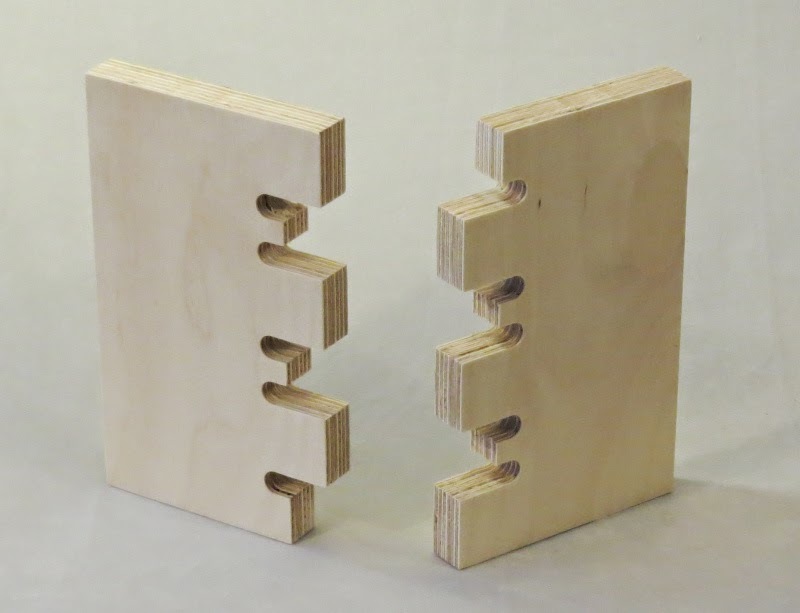 These joints connect two parts perpendicular to one another. 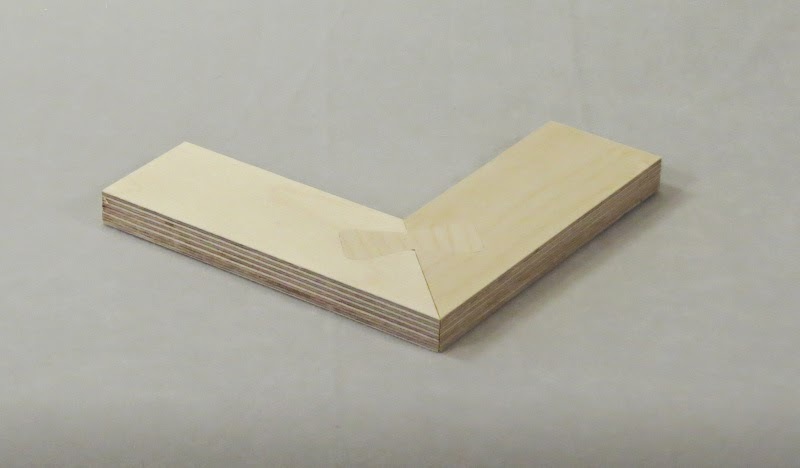 This is an example of a through joint where the tenons of the perpendicular member show through the side. More detail to the joint below. This also provides greater surface area for the glue than the joint above. The following joint is detachable. The long tenons bend just enough to allow them to flex into the mortises. Once fully through they hook above and below the mortises to lock them into place. 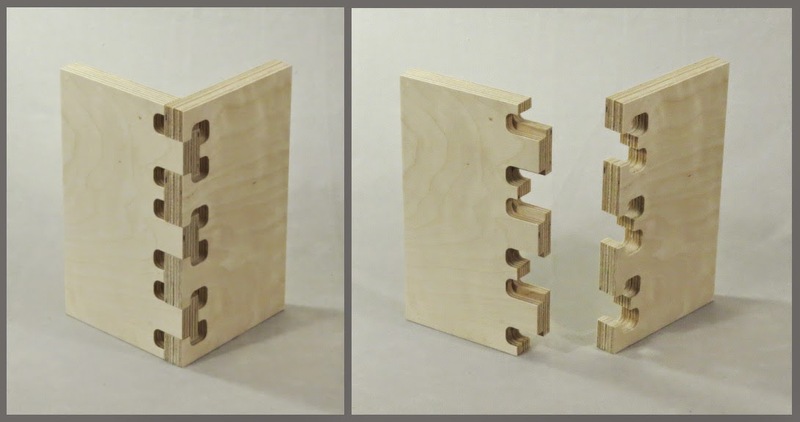 These frame joints allow parts to connect in a T or X configuration. They are usually half-laps. That is, material is removed from both piece to allow them to overlap one another. Usually the material is removed halfway through each piece. 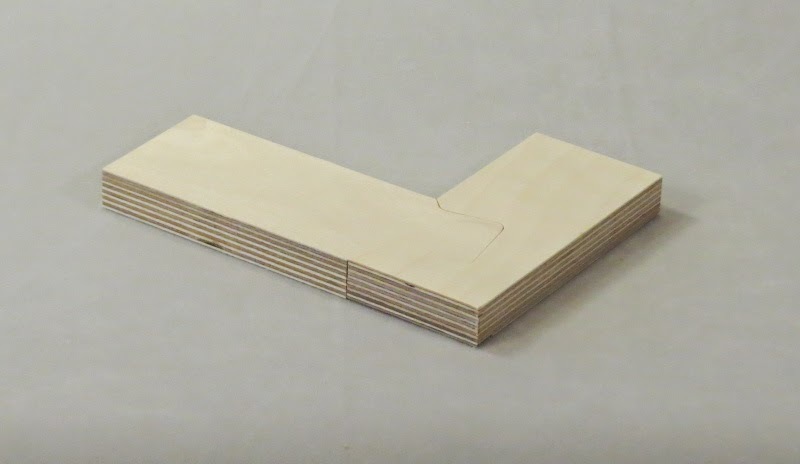 Simple curved edge half-lap joint. The parts are identical. This joint is decorative compared to a normal half-lap but is also stable. The curves provide some extra tensile strength as well as increased glue area along the sides of the joint. 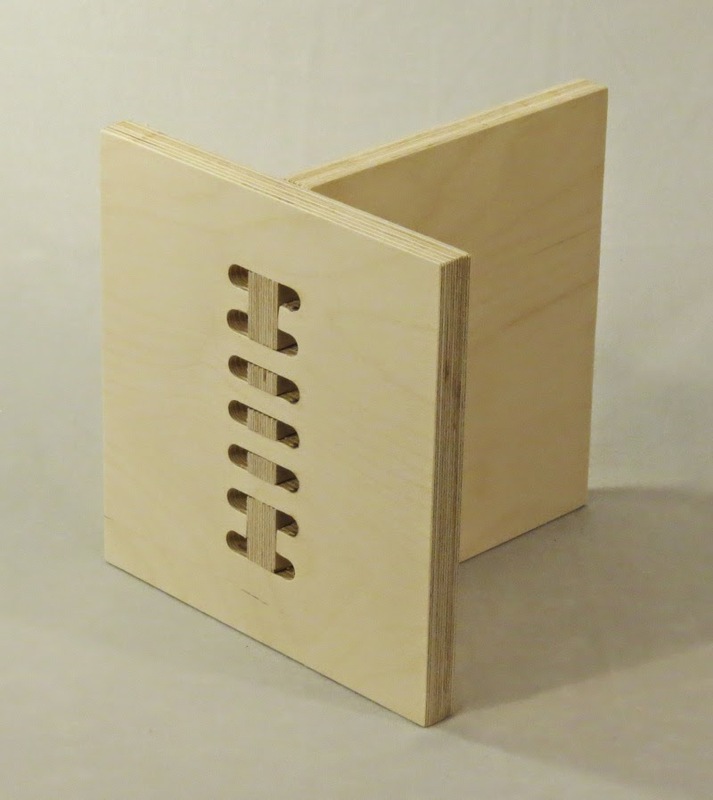 In all half lap joints the material thickness is critical to a accurate fit. 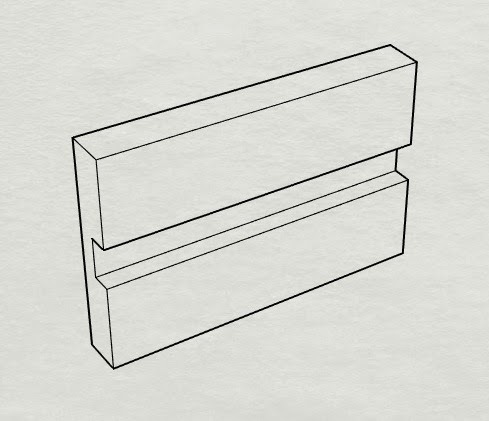 This joint has two identical parts. They provide a high degree of racking resistance and lot of glue area. A joint similar to the one above although these parts are mirror images of one another. 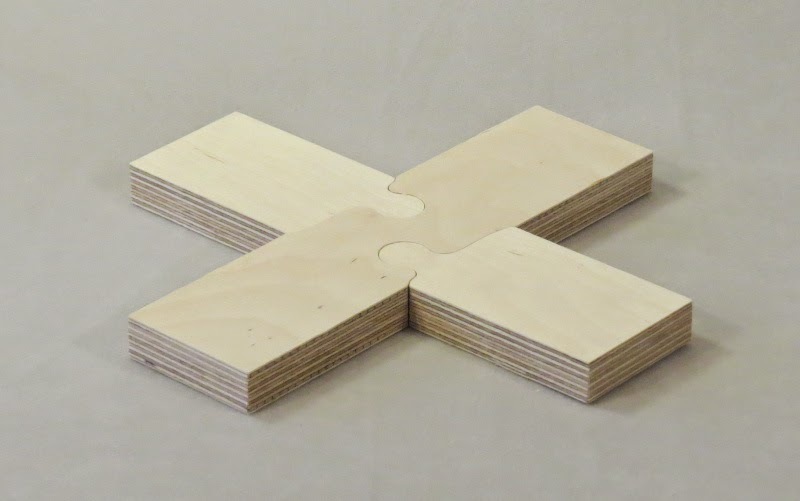 This joint allows four separate members to join at a common intersection point using a jigsaw key. In a tight fitting joint this is very difficult to take apart so it can't be considered knock-down.In a joint loose enough where the joint can be easily taken apart the holding of the four members are not very rigid. 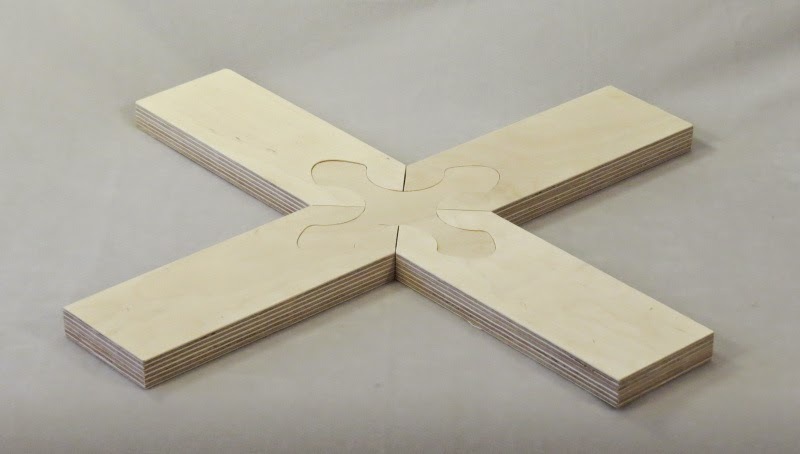 The following joints all meet at a T intersection rather than an X. The jigsaw key provides some tension resistance. This joint also has a notch cut in the edge so the cross member can resists lateral stresses as well. 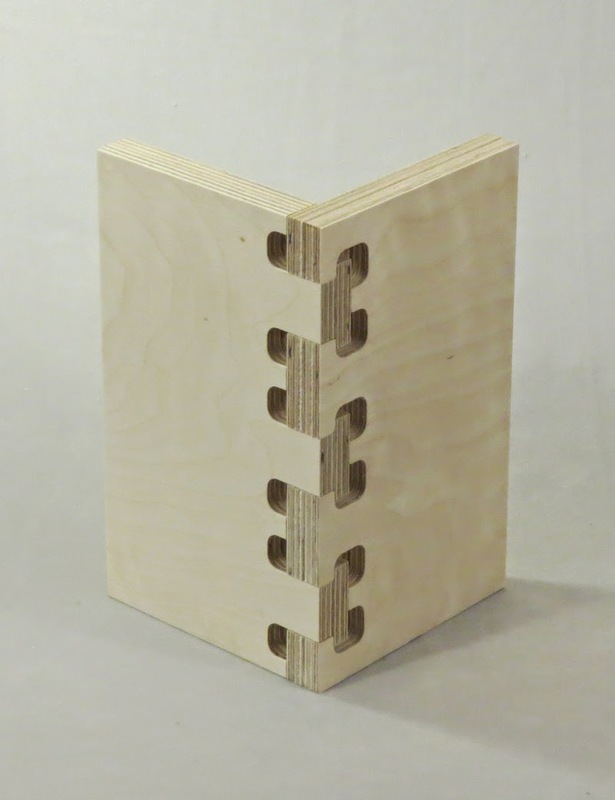 Another decorative half-lap corner joint that provides resistance to pulling apart due to the interlocking parts. 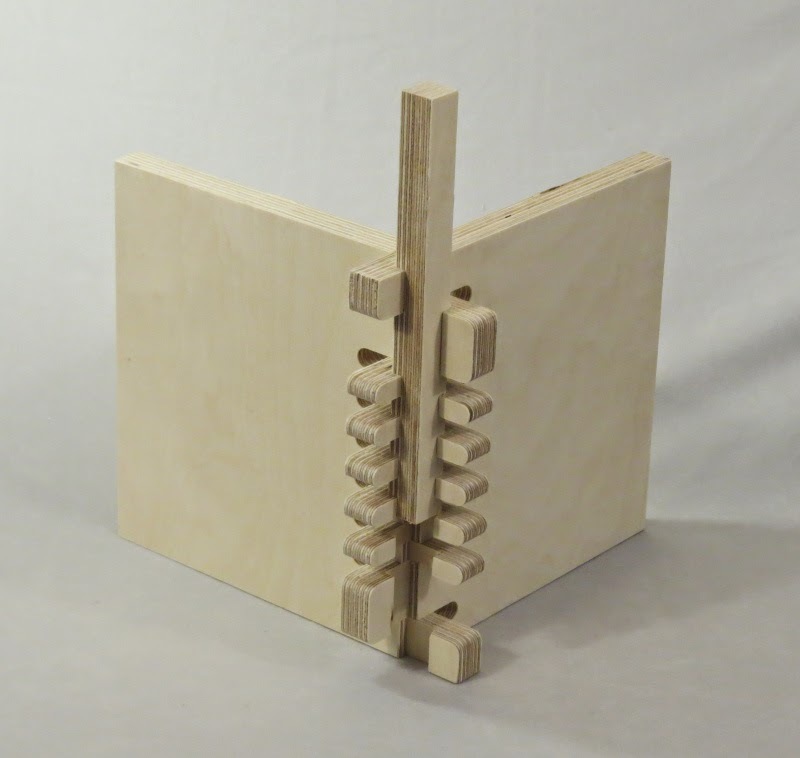 Here the elliptical tenon improves the tensile strength of an otherwise normal half-lap joint. Another half-lap variant which resists tensile forces in pulling it apart. This joint has a separate key to resist the tensile stresses on the joint. Note that the parts do not have to be at a right-angle. Another half-lap variation with a dovetail. 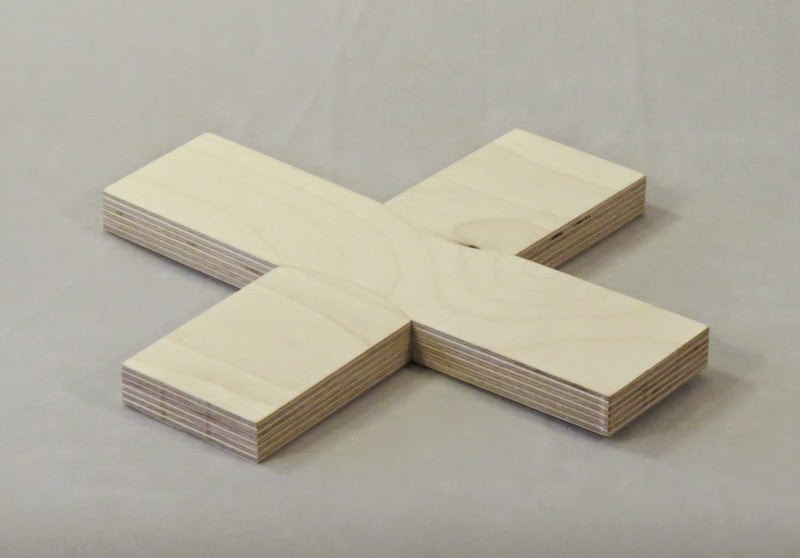 This joint has a notch cut in the edge so the cross member is less likely to shift laterally. Thus the joint resists forces in all directions. These last two joints have one member extending beyond the edge of the other. In this case the hook extends fully through the piece providing some tensile resistance. These joints lengthen members joining two pieces end to end or edge to edge. 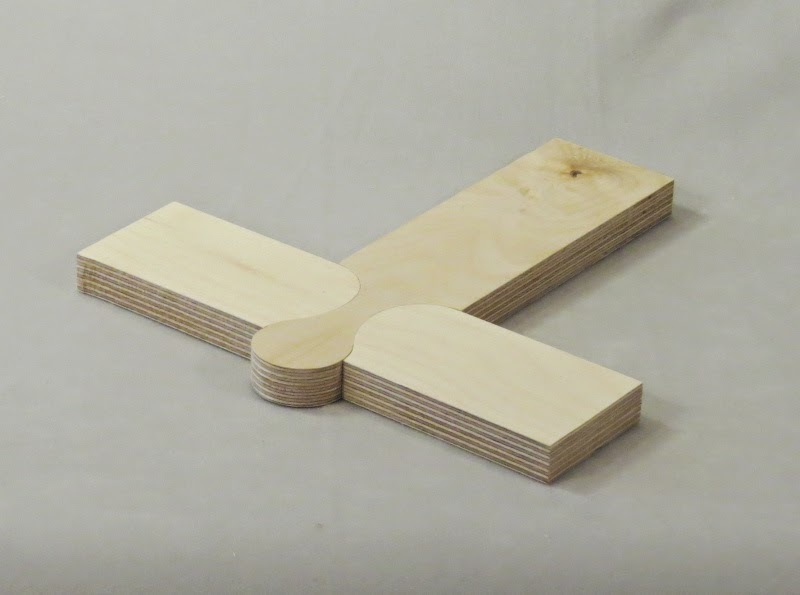 This example allows two boards to be joined along their edges. It has a nice decorative effect and the dovetail shape provides mechanical resistance to pulling apart. On the back side of the joint the edge is a straight line. 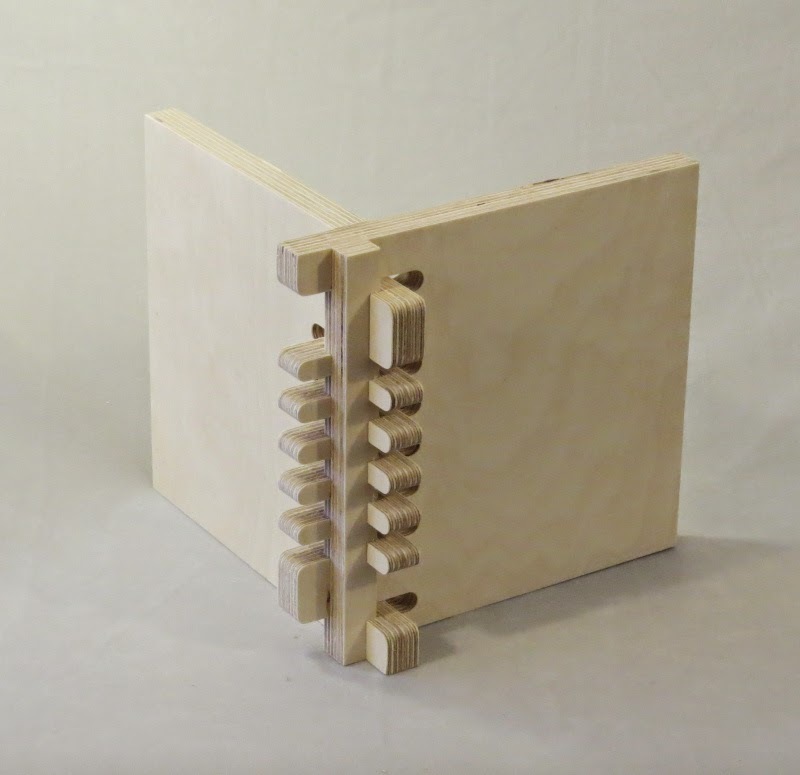 Double dovetails in this version. So the decorative tails appear on each side of the piece (as opposed to a straight line in the example above). 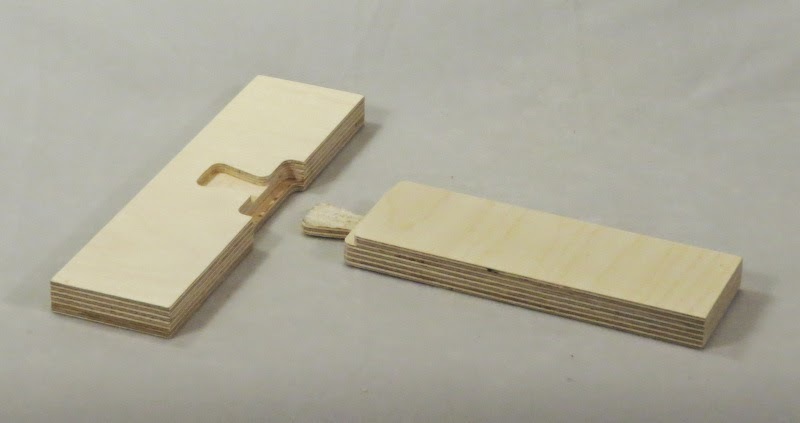 Joints such as the following two use removable keys to edge join the boards. In reality these keys are tough to get in and out of the pockets if the fit is good. So these are not suitable as knock-down (take apart) joints. Another version using more traditionally shaped dovetails. Butterfly keys are similar to this although they are symmetrical about their centerline (these are asymmetric). 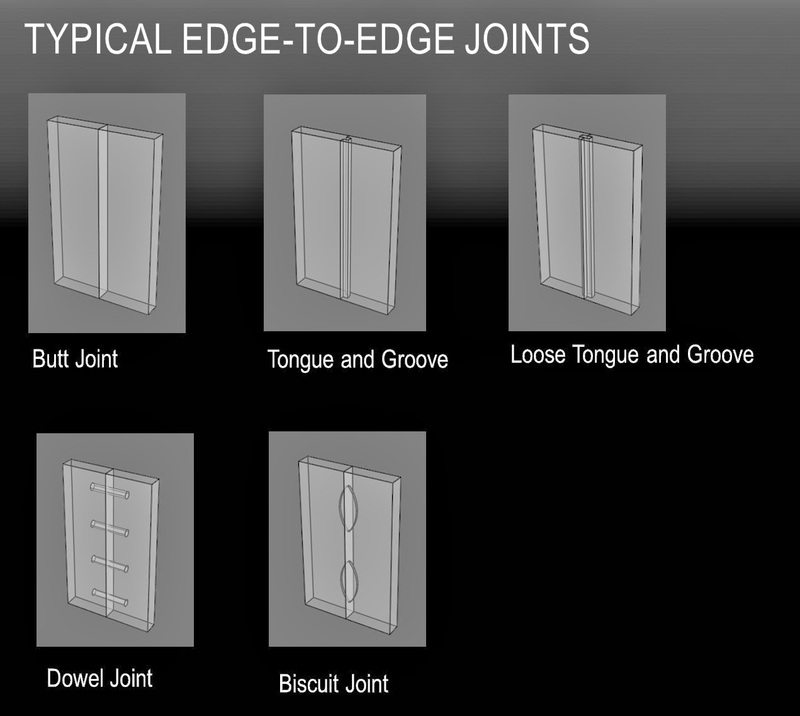 The following joints are decorative and functional ways of joining boards along a narrow edge. The shape of this joint echos the Ginko tree leaf and demonstrates the ease with which the CNC can cut complex curves into joinery. Same concept as above - different geometry to this variation. 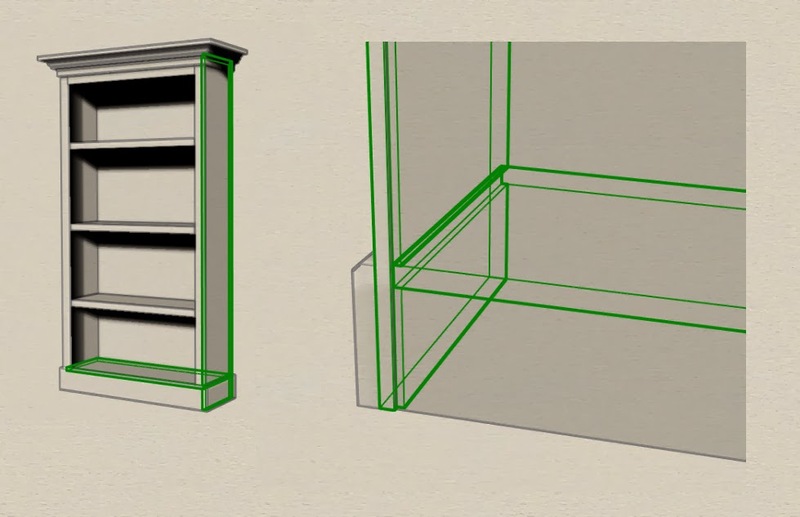 The two parts of this joint design are similar but are mirror images of one another. 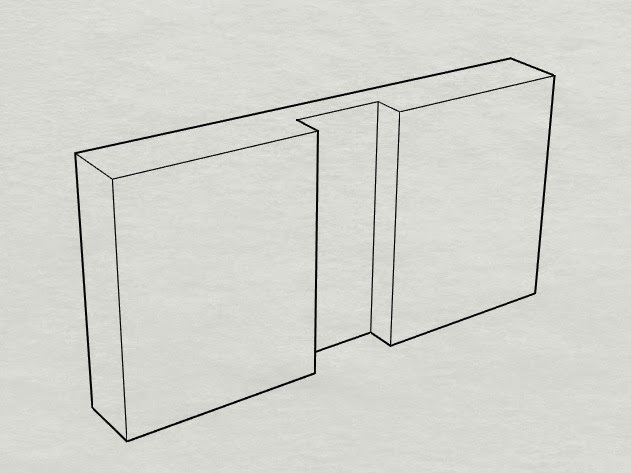 A halving joint is one where the two parts are each thinned by half and overlap one another. 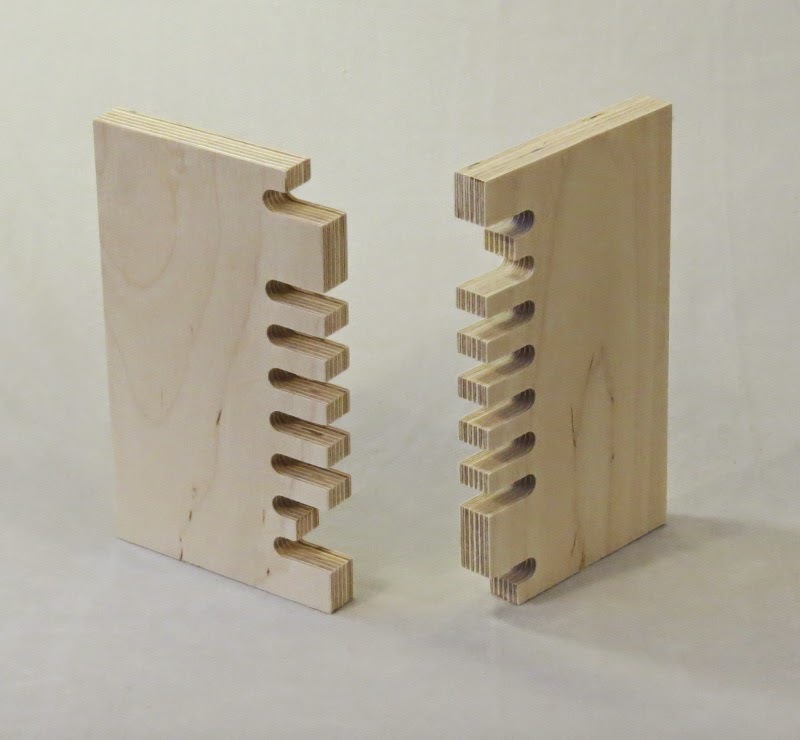 The ellipse tenon in this joint provides mechanical resistance to pulling apart. 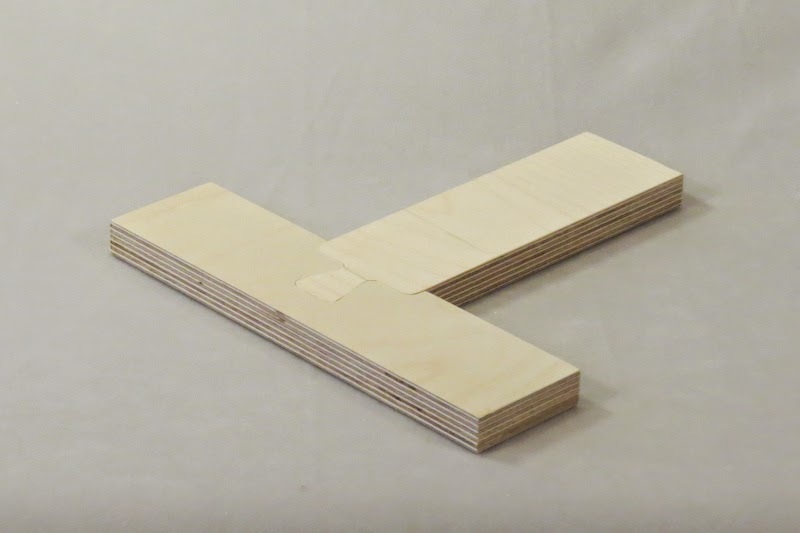 This joint would be weak in hardwood because the sheer plane is parallel to the wood fibers (so called short-grain). 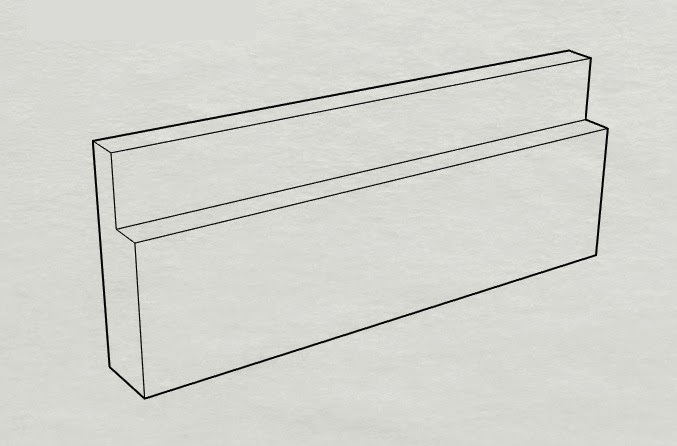 Standard dovetail shape (with rounded corners). In this joint the dovetails appear on both sides. 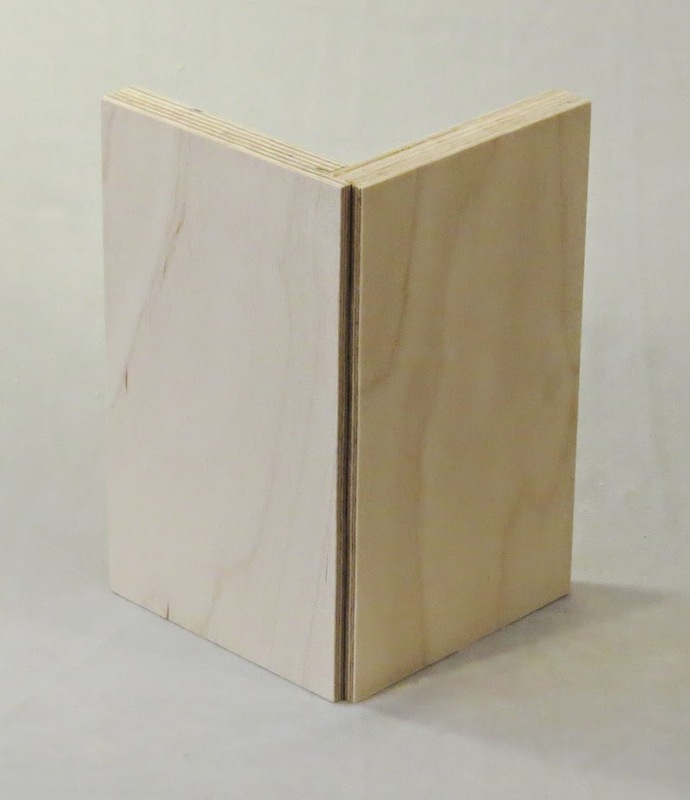 This joint uses two dovetails on one side, one on the other: Cut into this narrow a board the small amount of material on the outer edges of the joint is weak in the piece shown on the left. 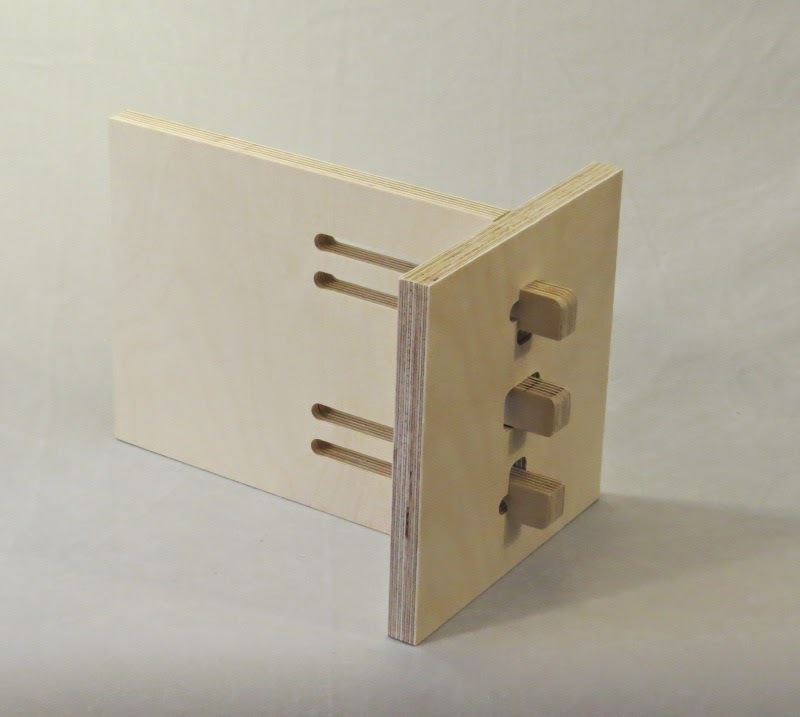 Single dovetail on one side, double on the other. Unlike the joint above these are not aligned laterally making it stronger. Thanks a lot for this article and the blog in general. 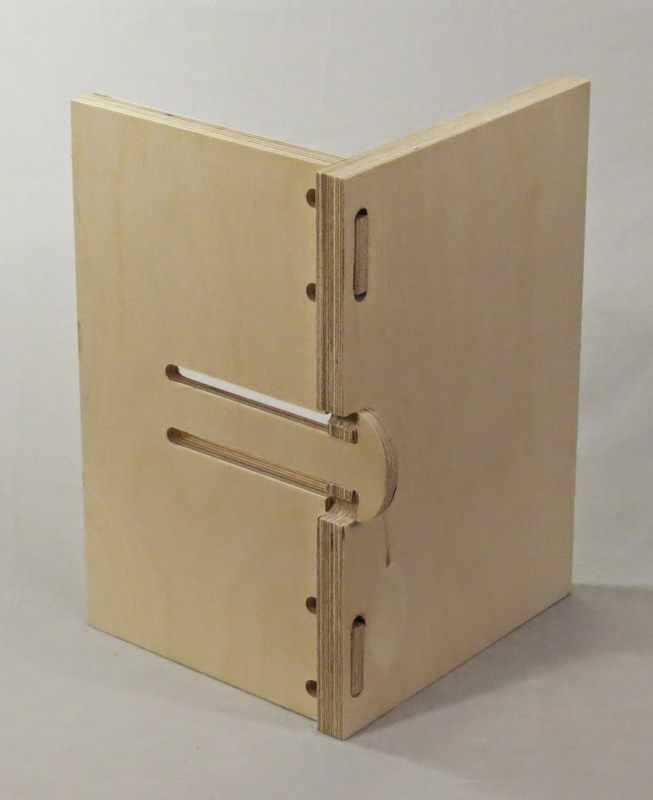 I'm finding it immensely helpful as I begin learning about cnc wood working. 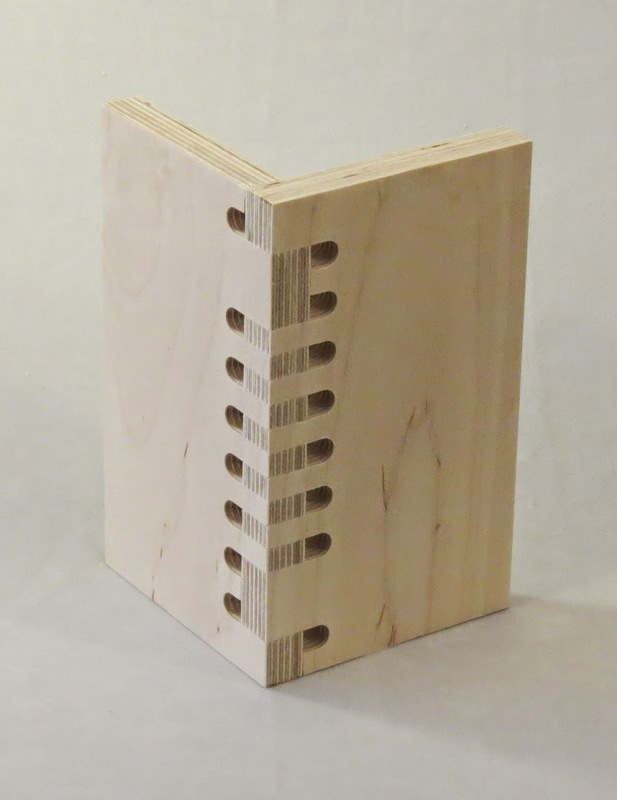 I was wondering if you have any advise for glue ups. 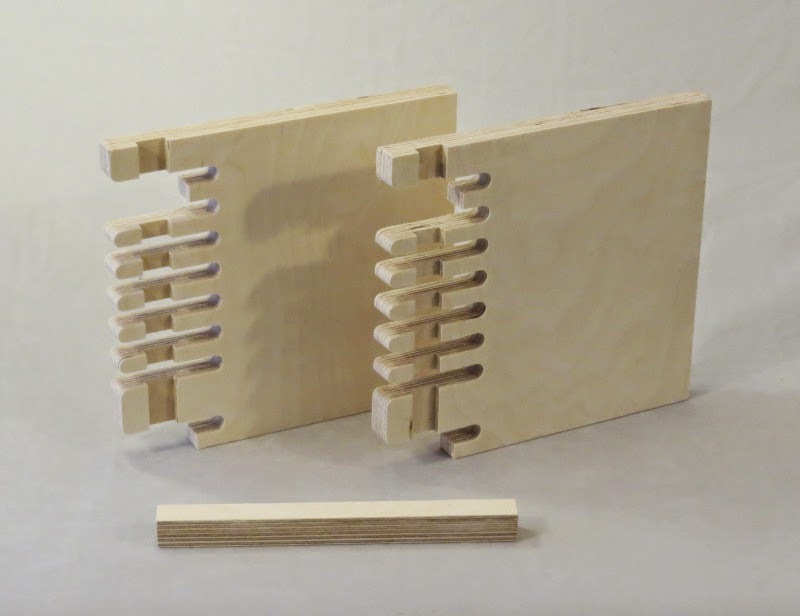 Specifically with the corner joints, how do you glue up and end up with a clean looking joint (no extra glue in the round parts of the fingers for example). 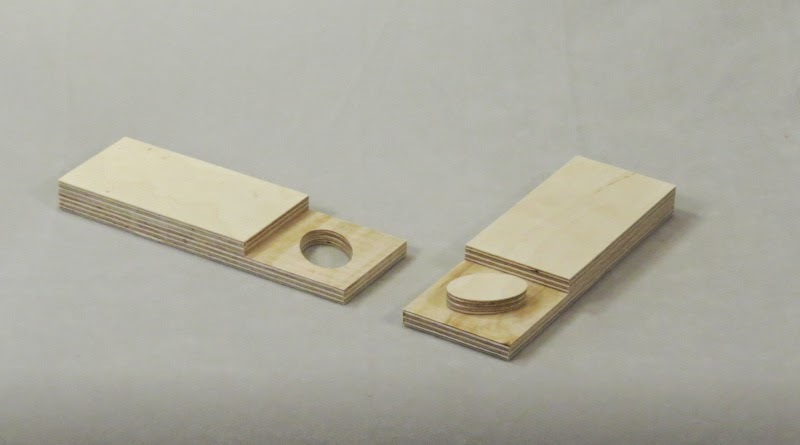 Any pointers as to locations on the web where we could download cad files of the joints? Yes, search this page for "Digital Wood Joints". That link has most of them. I personally found them quite a mess and they required cleanup in preparation to cut. But it's a good start and far better than starting from scratch. for everyone looking for the ditital wood joints. the German page moved the data. Thanks! I updated the link in my post. I'm a designer and educator, living in Ann Arbor, Michigan.